We all love 'sneak peaks' and the "Look Inside" feature that many book sellers offer. This is my 'sneak peak' to you. 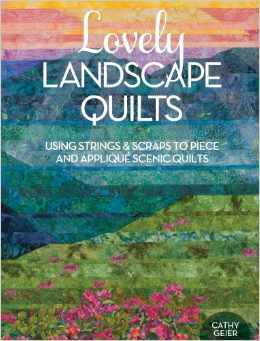 I've put together a few images and explanations about what you'll find in my book Lovely Landscape Quilts. 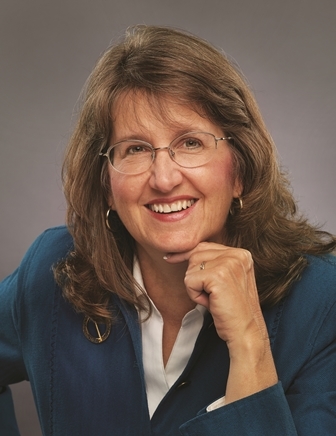 To date, Quilting Daily and Quilting Arts have given it great reviews so I'll show you those too. First, I suppose you should know what I look like. Here is the photo Fons and Porter took of me. After spending a day with a photographer and editor setting up shots for the book, we got a little silly. I was having a good time as the pic they snapped of me shows. Me - I had a fun day! Let's look inside the book and see what's there. Ann Brauer's quilts, Chapter 1. I feature the artwork of 8 other artists in this chapter. Each chapter opens with one of my strip pieced landscape quilts. This photo is of Chapter 3 where I begin to show you how to create various elements like hills, valleys, lakes, and skies by using strips of fabric and angles. Angles are critical in creating smooth flowing skies and natural hill and mountain shapes. Chapter 3 goes into detail about angles and about creating different elements in your landscape. In chapter 5 I show you how to embellish your quilt top with markers, tulle, shrubbery - yes, I show you how to make a shrubbery - and collage. Alas, I forgot to take a photo from this chapter and hubby has his stuff all over the table as he is working at home today. Real life intrudes on my quilting once again. The last main chapter is about the quilting itself. Don't we all hate the "quilt as desired" phrase in directions?! I'm guilty as charged for using it in my first book. 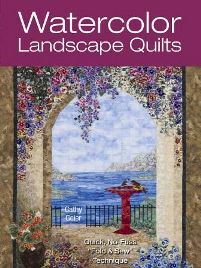 This book however shows you how to quilt these landscapes in a natural way to augment their beauty. Lastly, my book as 15 projects to help you learn the technique and directions to recreate these quilts. All the trees and branch appliques used in these projects are included in real size pattern inserts at the end of the book. And, I give you full permission to use them in all your projects whether they are from my book or not. 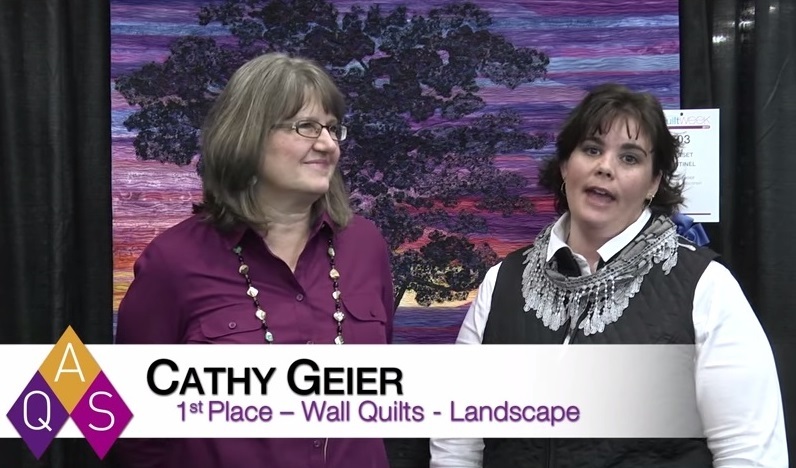 If case you are beginning to think that I'm trying to hook you on landscape quilting... you're right! I am. Last but not least, I thought I'd put together a composite of the projects. No, these are not all the same size, I just made them all into nice rows for this graphic. In case you notice, there are more than 15. This is because I show you different ways to create the same design with different fabrics. 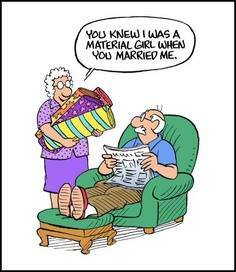 When I wrote the book I was aware that many of us have stashes of fabrics and left over scraps. My thinking was that you would be able to use them to make landscapes. I hope I've given you lots of ideas! And of course I hope you'll buy my book. Thank you for taking the time to review and give us a preview. I appreciate it! Fabulous! Oh wow, looks like a great book to have. Wish I had known about the book so I could have had it on my wishlist for xmas now when I have visitors from the states . Great preview. Was already on my wish list. I have done string piecing before but nothing like this. Hi Janet, you must mean the Monument Valley Triptych - the quilt on the Chapter opener. Nope, that isn't a pattern I use for a project. It would have been unfair of me to try to tell anyone they could make it because I had the perfect fabric for the monuments and without that fabric, the quilt wouldn't have been a success. The book teaches all about sewing and appliqueing strips to make landscape features. Part of that process is learning how to create long sloping strip angles, and lining them up to make hills, etc. Monument wasn't a difficult quilt because nothing really lines up and the sky is pretty free flowing. I've been thinking about writing another book and developing more patterns. The desert Southwest is full of inspiring possible quilts! Thanks for your comments by the way! 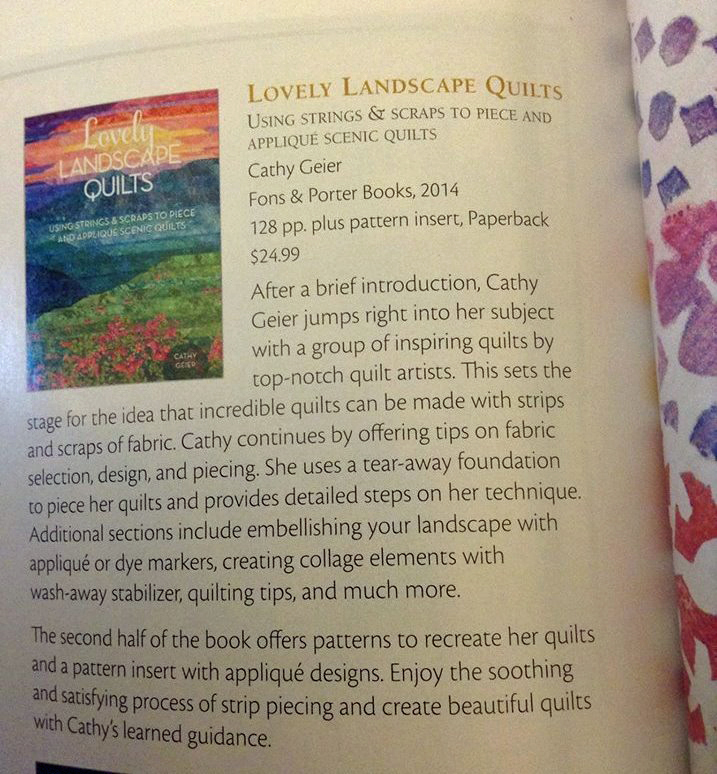 Cathy - I absolutely love your book, Lovely Landscape Quilts. I'm wondering if you ever make queen size quilts with the basic techniques you describe, and if so, what advice you have. Thanks! Thanks - I'm so glad you like it!! Nope, I have never made a queen size quilt using these techniques, but several other's have. They made the strips much much wider and added borders so the landscapes were the size of the mattress. I would not use the strip applique technique making a bed sized quilt because you'd need it sturdy enough to be washed. I would think that finished strip sizes for a queen size would be at least 1.5 - 2 inches wide and go up to maybe 3 inches in width. (FINISHED). It sounds like you might have an idea in mind for one - I hope you have fun with it! Thanks! The wider strips make great sense to me. My sister lives in the Blue Ridge Mountains, and she specifically asked for the Blue Ridge Mountains Sunset for her guest room. I think I can pull it off, though I'm not sure I can make the sun rays; using tulle doesn't seem appropriate for a bed quilt. Thanks for your inspiration! Interesting idea! That's down the road a bit. I'll let you know how it turns out! Many thanks. I bought this book last Spring & have kept it on my workspace w/ several projects in mind; actually have brought out fabric, etc. to start a project then get interrupted w/ a custom order & put the project to the side. OK, so I brought the book out again this past week & have a simple project in mind that I'm planning on making in the next couple of weeks. I love your work & can't wait to start my project & show it off! Happy New Year! I hope you can show me how it's going! If you have questions please let me know and I'm glad you like the book. Happy New Year by the way! I just bought this book and awaiting its arrival. After three years of trying to find what suits me, I finally discovered your book! 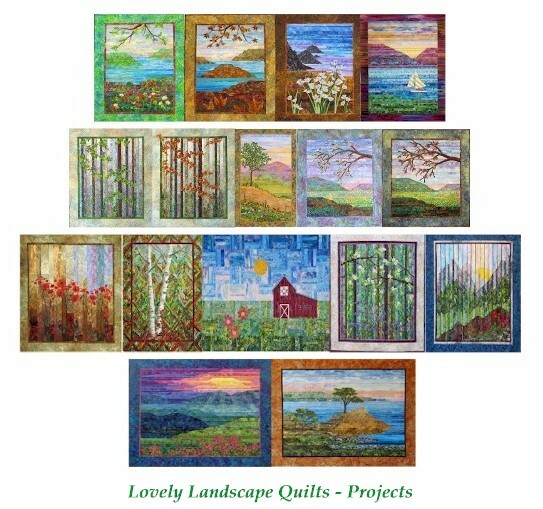 I am enamored with landscape quilts but had no idea how to do it. I am going to make a queen-bed sized quilt and read your suggestions above. Thank you for authoring this book!